Here is a prime example of why I love shooting at Pasadena's City Hall. 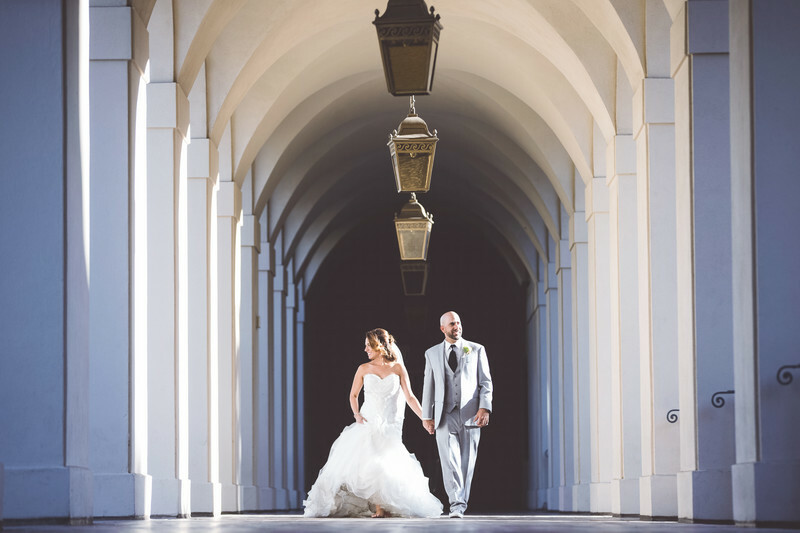 The arches and repeating lines provides a great space for creating dramatic photos of a bride and groom. Location: 100 Garfield Ave, Pasadena, CA 91101.